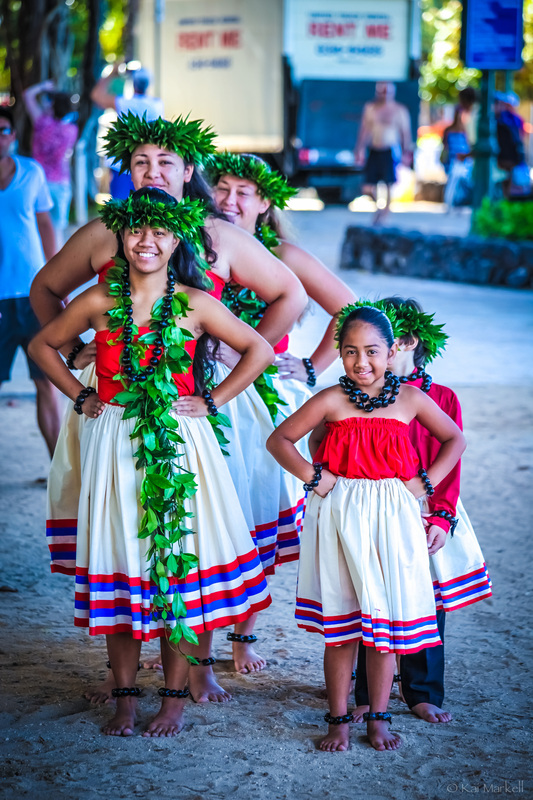 FOND Group had the honor of helping to produce the first annual Aha Kai Aloha Festival celebrating Hawaiian Surf and Cultural Heritage which took place in Waikiki this past fall. 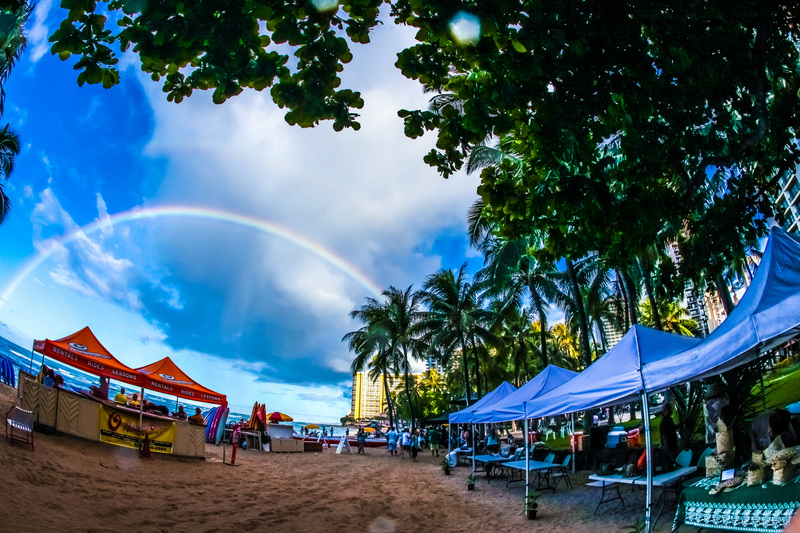 Alison Berman caught up with visionary pro surfer Rochelle Ballard to learn more about the memorable day and the inspiration behind the event. 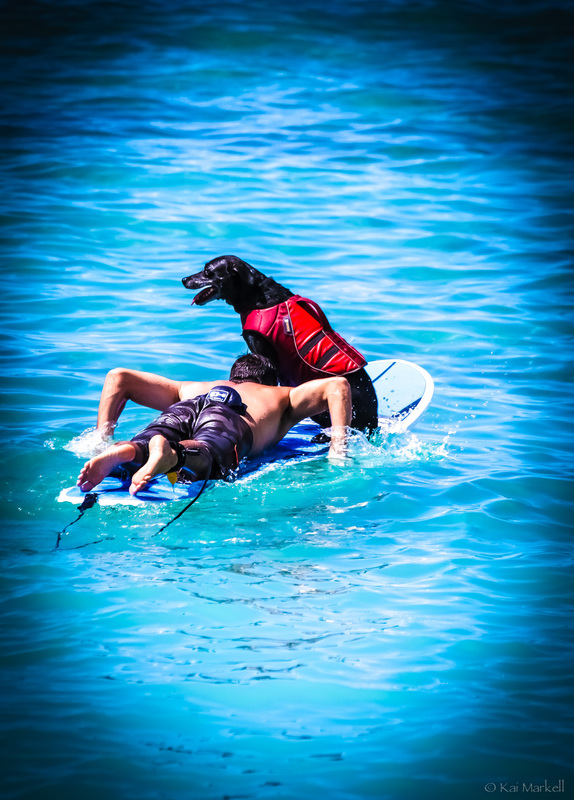 In Hawaii, surfing is more than an activity or a pass time. It is more than a sport. 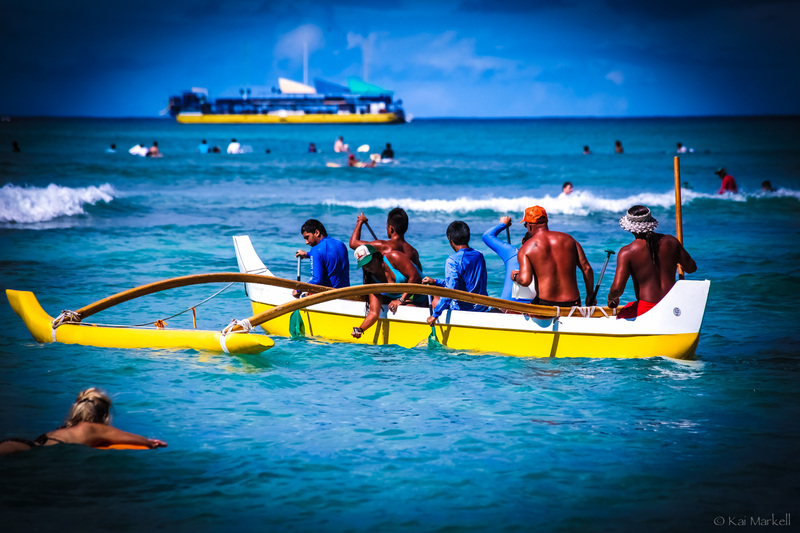 Surfing goes deep into the heritage of Hawaii; it is embedded in the roots of Hawaiian culture. 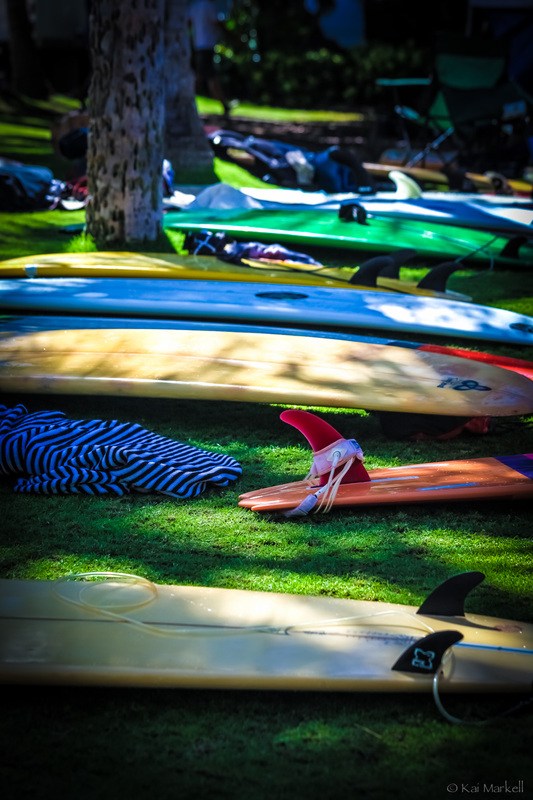 And, nodding to that deep significance was the first annual Aha Kai Aloha Festival, a one-day Hawaiian cultural surfing event that debuted in Kūhio Beach Park in Waikīkī on September 6th, 2014. 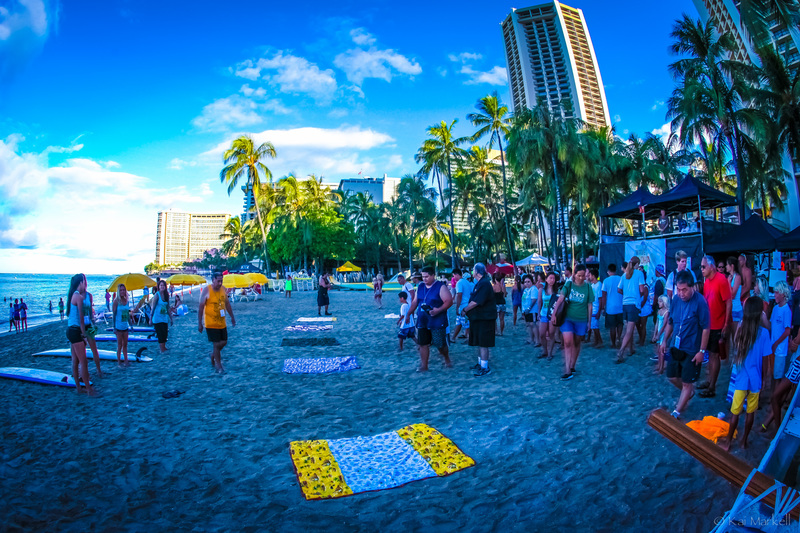 The dawn-to-dusk festival was a celebration of traditional Hawaiian surfing and also so much more. 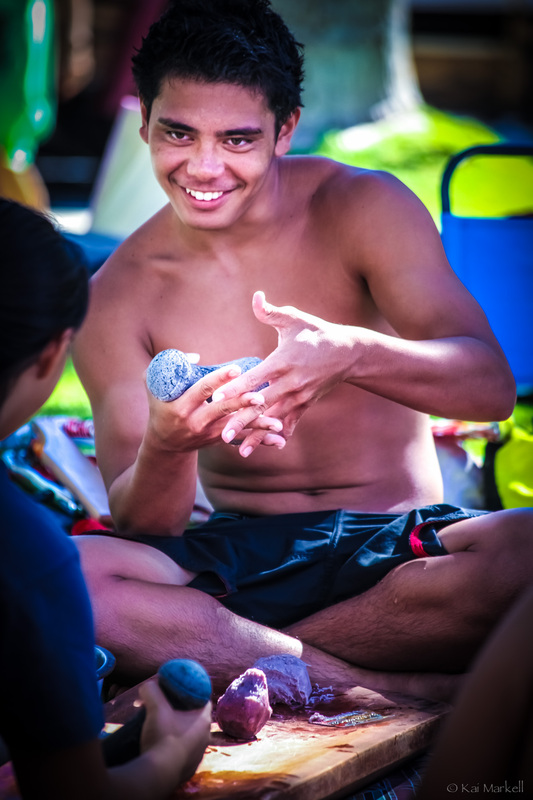 It was an effort to bring together and nurture the many at-risk and homeless youth of Waikīkī and reconnect them with their Hawaiian heritage through surf sessions, workshops on Hawaiian traditional practices, and also educating youth on resources available within the community. 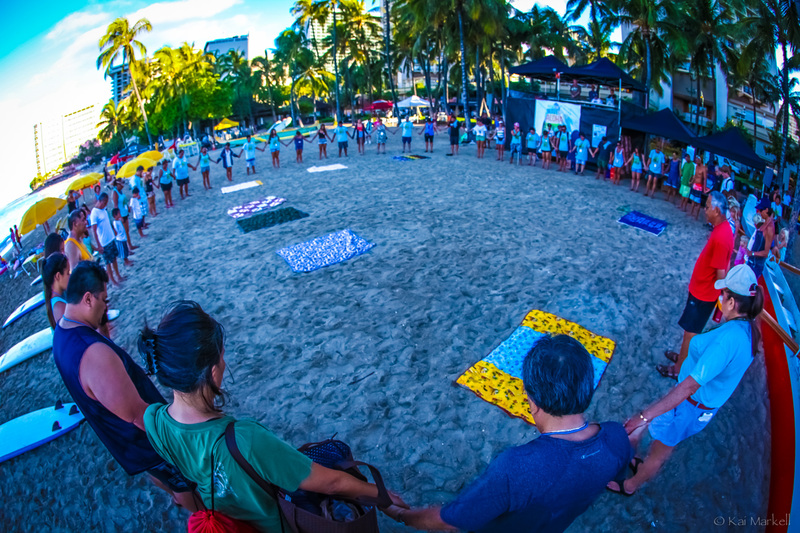 “It was a really amazing shared day of Aloha, and that’s what Aha Kai Aloha is, it’s bringing earth into the ocean or valley into the sea using all of the elements for sustainability, bringing together the wisdom of perpetuating the land and sea through the love of surfing-Aha Kai Aloha. 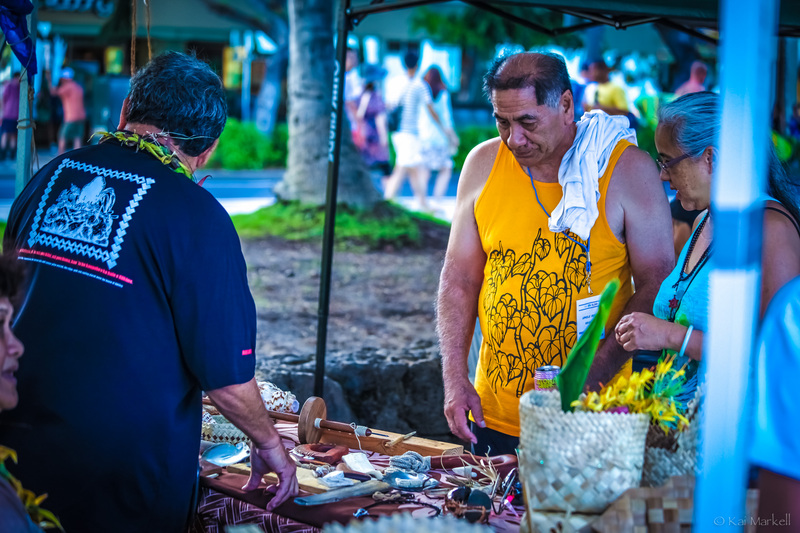 In Hawaiian culture it is called Ahupua’a -from the valley into the sea of Hawaiian cultural sustainability,” said Rochelle Ballard, professional world-class surfer, who first had the vision for the festival. 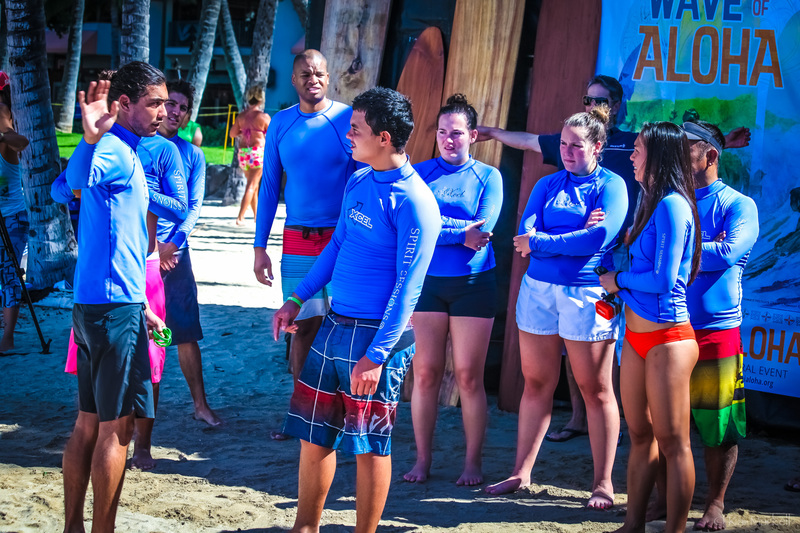 Pro surfer Rochelle Ballard (center) leads the opening ceremonies with ‘Uncle’ Bruce Keaulani of the Living Life Source Foundation. 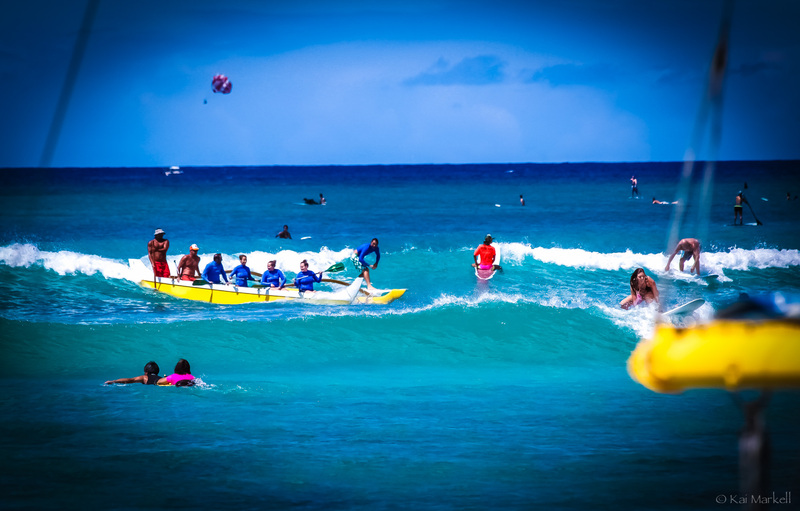 Rochelle moved to Kauai, Hawaii as a child, which is where she later took her first leap onto a surfboard. She is an accomplished professional female surfer and veteran of the Association of Surfing Professional’s (ASP) World Championship Tour, and also starred in the original Blue Crush film. 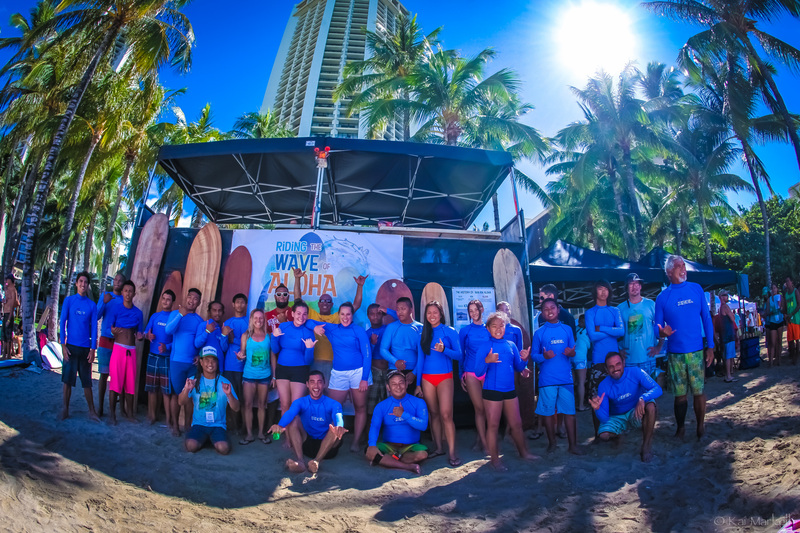 After an inspiring professional career, Rochelle continues to cultivate her love for surfing, one way being through her deep involvement with Living Life Source Foundation (LLSF), the organization behind Aha Kai Aloha Festival. 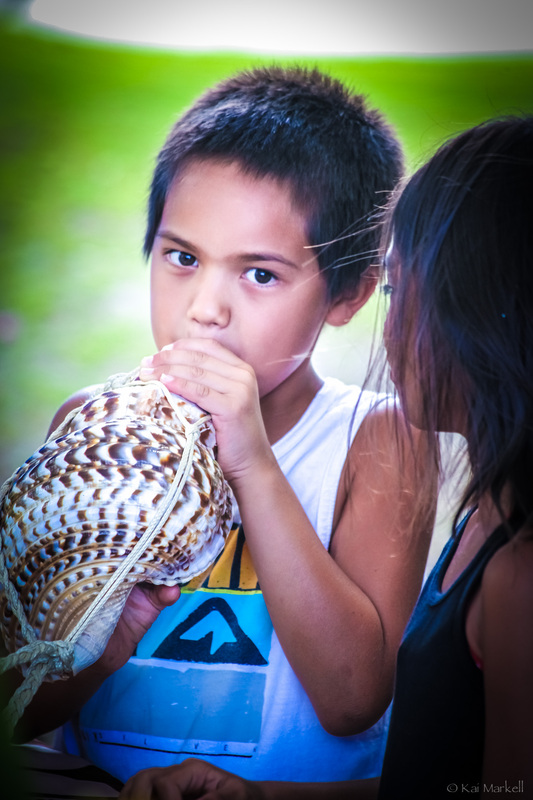 LLSF is a charitable non-profit located in Hawaii’s Manoa Valley and has a beautiful mission, “To restore a system of living by embracing all faiths and modern science; teach concepts vital to creating a life of greater meaning, purpose, and freedom; and, educate the people of Hawaii to become self-sustainable and to perpetuate the life-force spirit of Aloha.” Professor Bruce Keaulani, locally known as Uncle Bruce, is the founder of Living Life Source Foundation and asked Rochelle to create an event that would bring together the organization’s efforts with local youth and the healing aspect of what LLSF stands for. 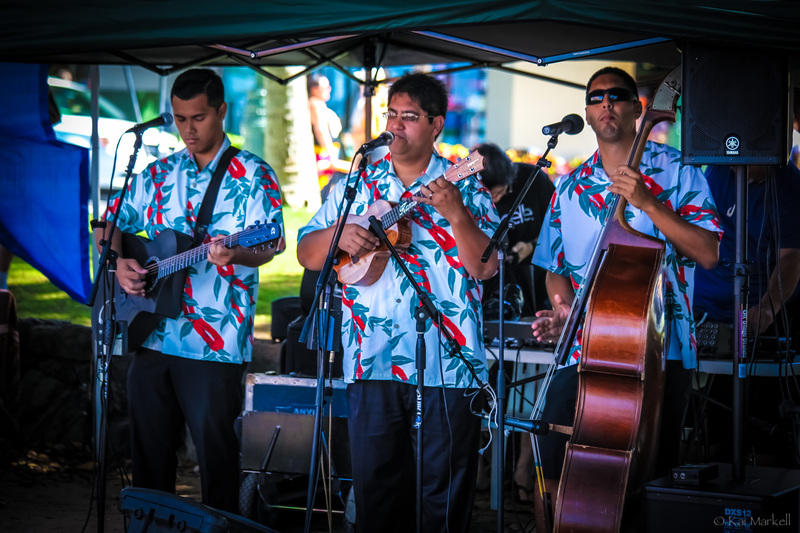 And from this sparked the inspiration for Aha Kai Aloha Festival. 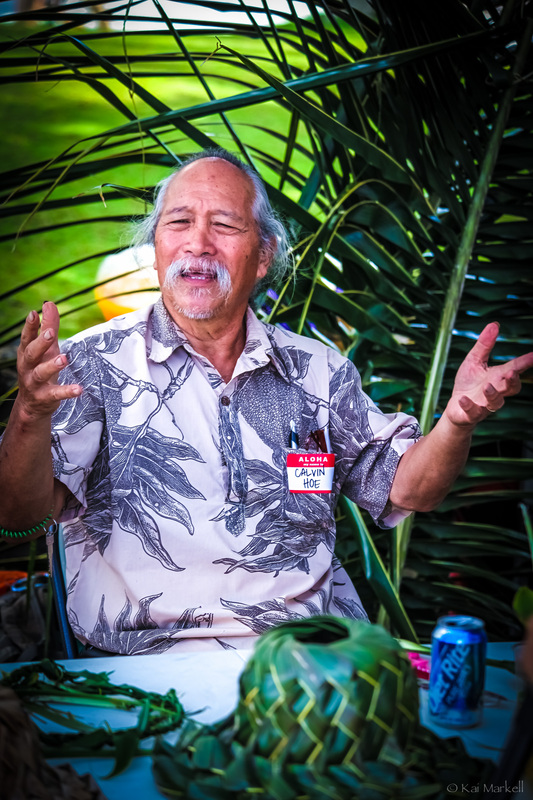 FOND Founder, Nicole Delma, honored to share a moment with legendary shaper Pohauku Stone. 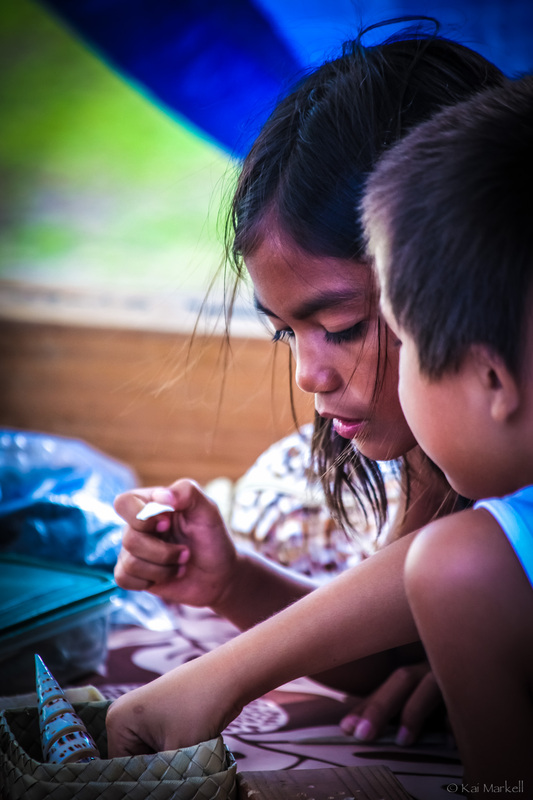 Aiding at-risk and homeless youth can be a delicate undertaking. 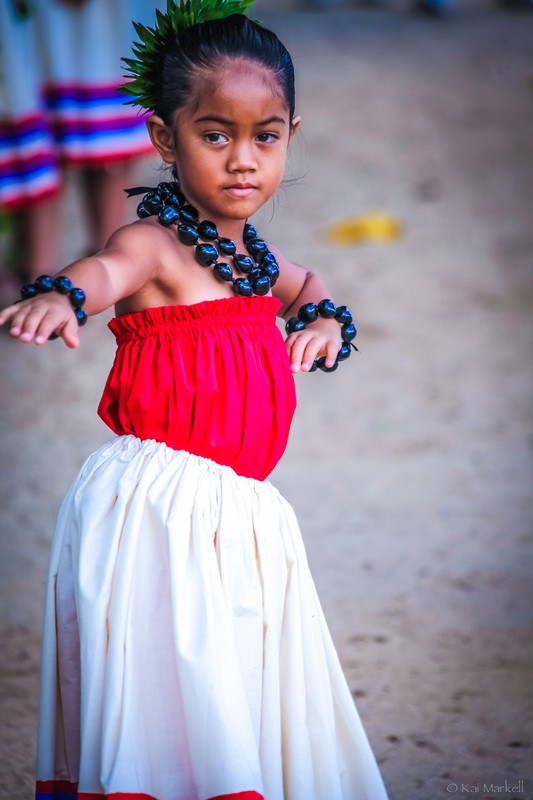 On the streets of Waikīkī, it isn’t always easy to identify which kids are homeless, even more so, each child has their own unique story and circumstances. 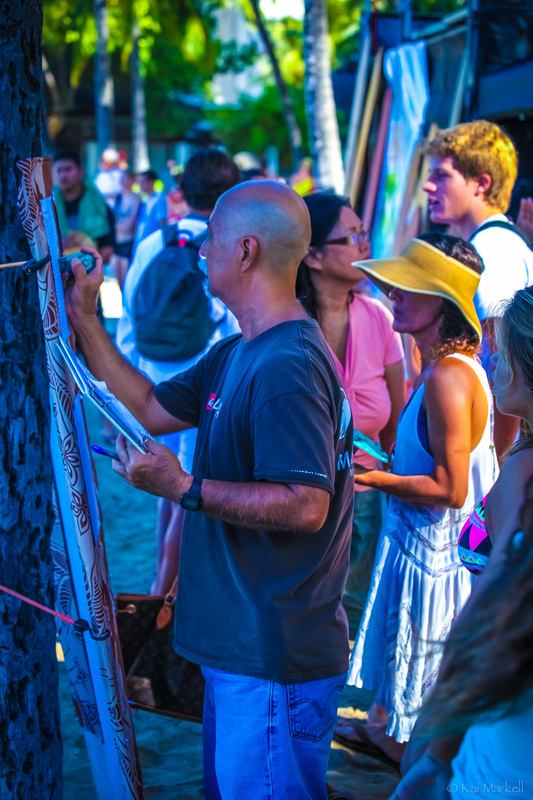 Knowing this, the festival was designed to be as inviting as possible, acknowledging that whether teaching a surf lesson or introducing to a local charitable resource, a critical first step is to earn trust. 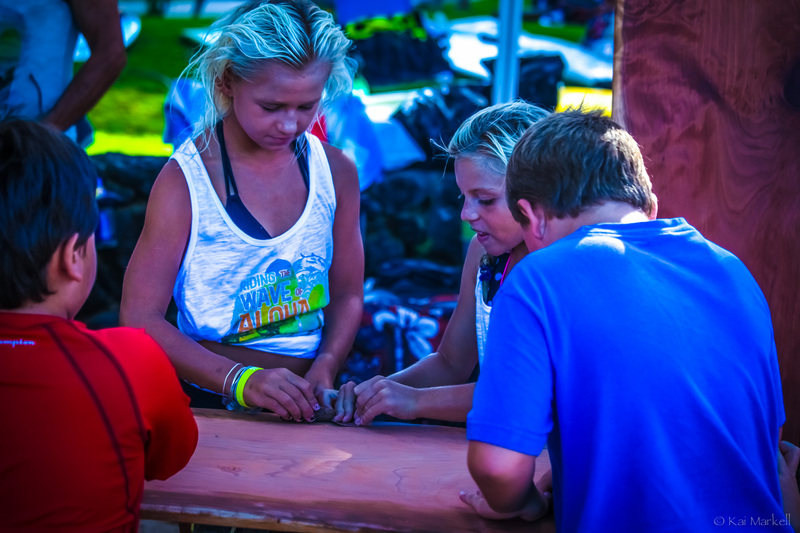 Local groms prepare for the female longboard competition. 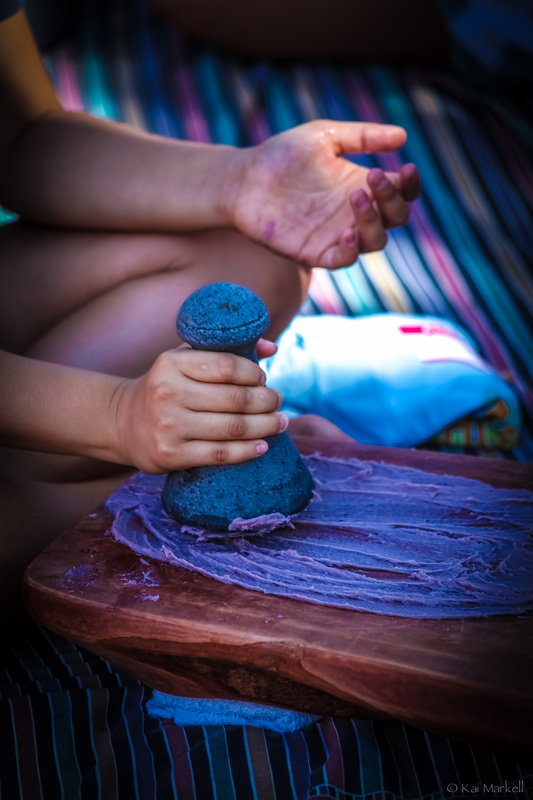 Youth Outreach (YO! 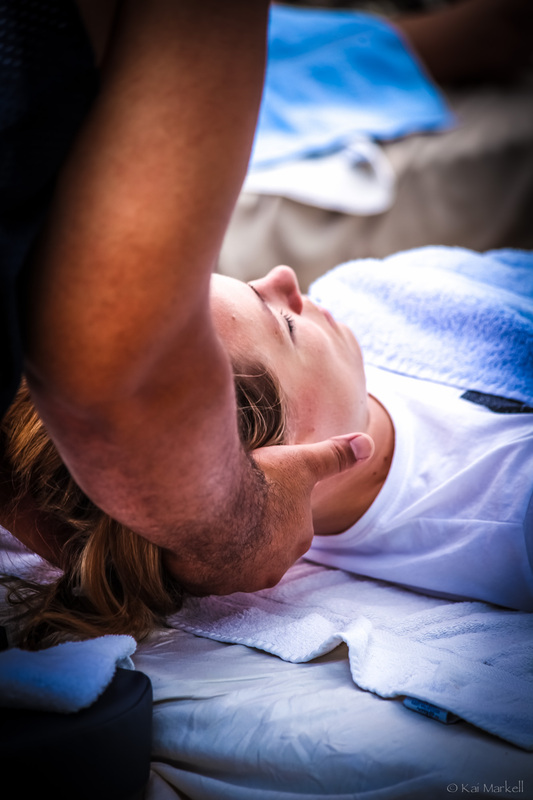 ), which provides medical and social services to homeless youth through YO! 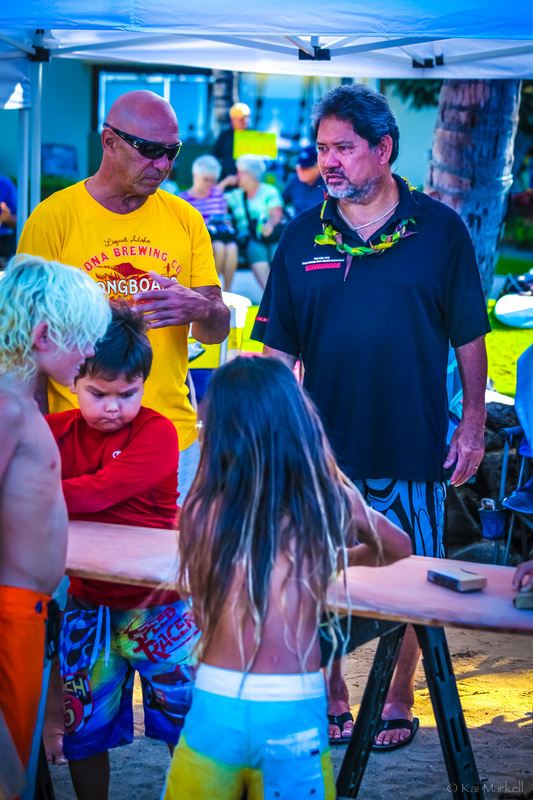 drop-in centers in partnership with Waikiki Health and Hale Kipa, Inc., was one of the resources available to the children, as well as Surfrider Spirit Sessions (SSS), a Hawaiian non-profit that serves at risk youth through ocean-based experiential education and mentoring programs. 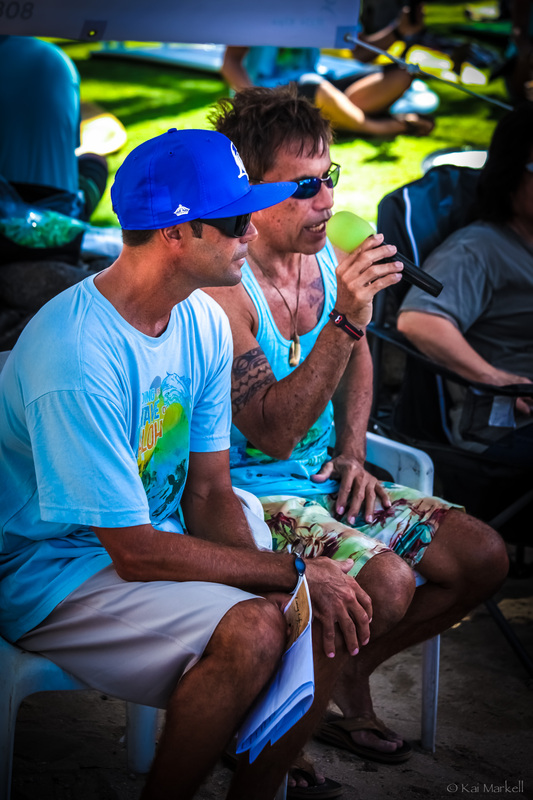 Commentator Kaipo Guerrero (left) lent his voice and surf expertise to the day’s events. 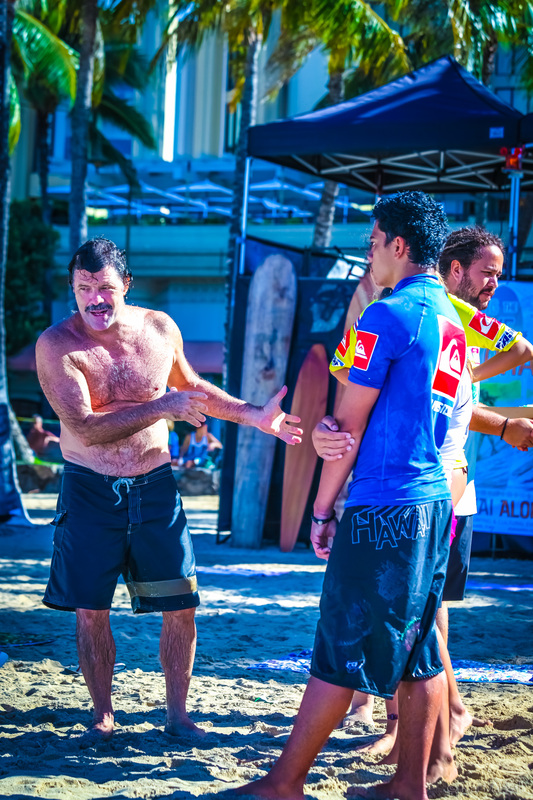 Guerrero is a well-known announcer in the sport of surfing and a fan favorite. 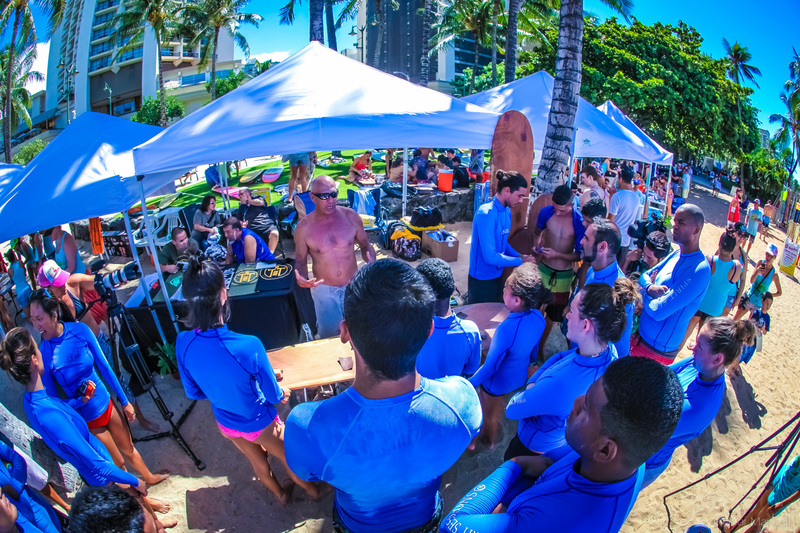 Surf lessons and an eight-division surf competition open to the public also took place during the day. 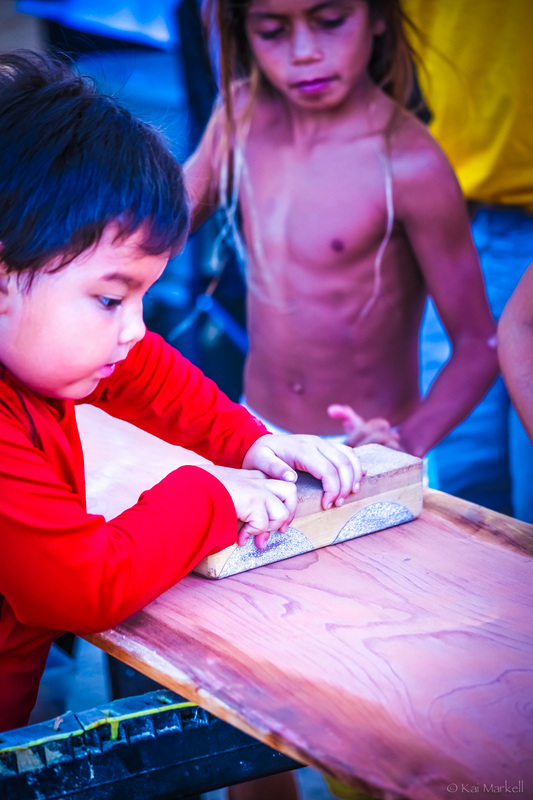 Competition entry fee was waved for canned food donations and divisions were bracketed by age, not gender, encouraging participating for the love of the sport, rather than for fierce competition. 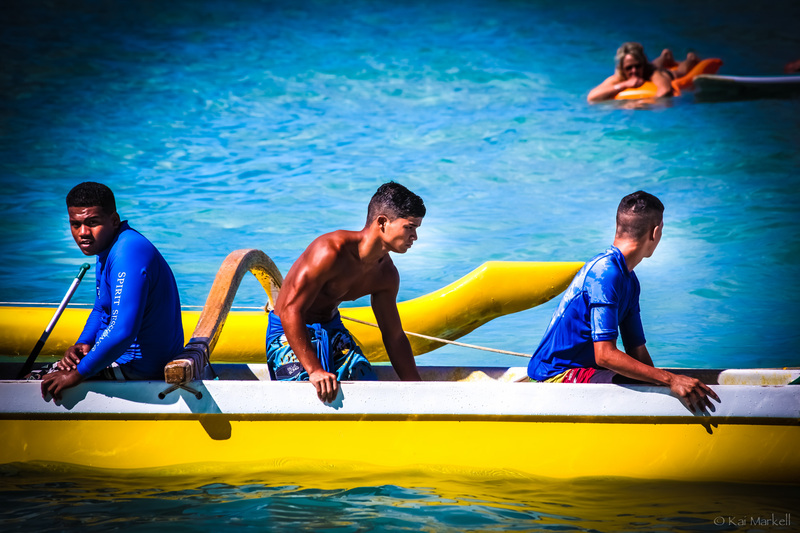 Local youth take turns experiencing outrigger canoe rides through the Waikiki surf. 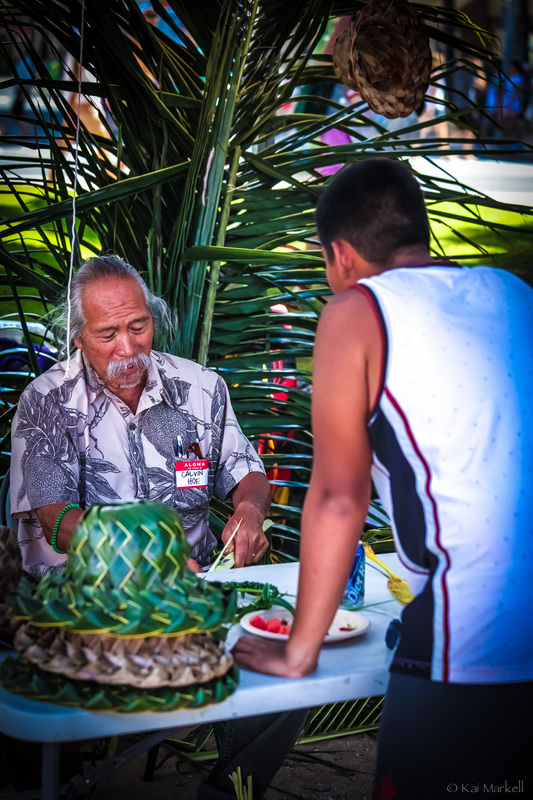 With over 600 arriving for the festival, 100 participating in the surf competition, and 400 healthy breakfast and lunch meals shared, the impact of the first annual Aha Kai Aloha Festival was inspiring. 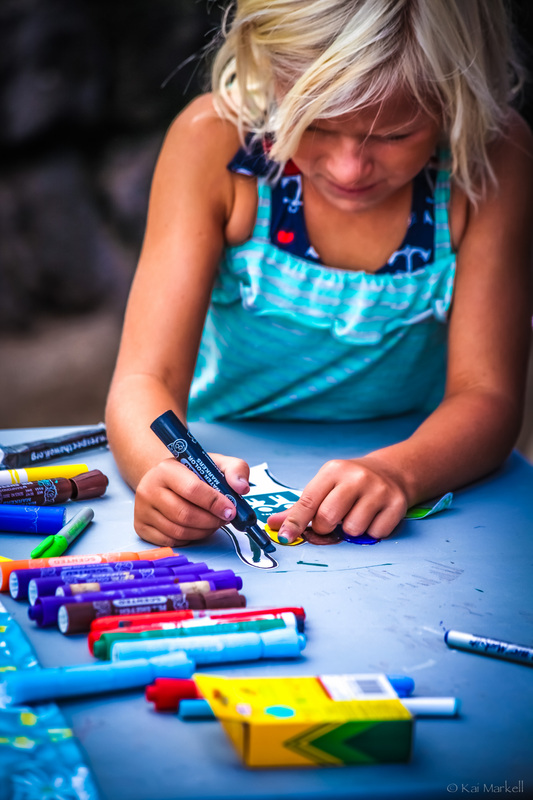 The festival is committed to continuing to partner with existing organizations to enhance and support their efforts to aid local at-risk youth, both for next year’s event, and also with the possibility of building workshops throughout the year. 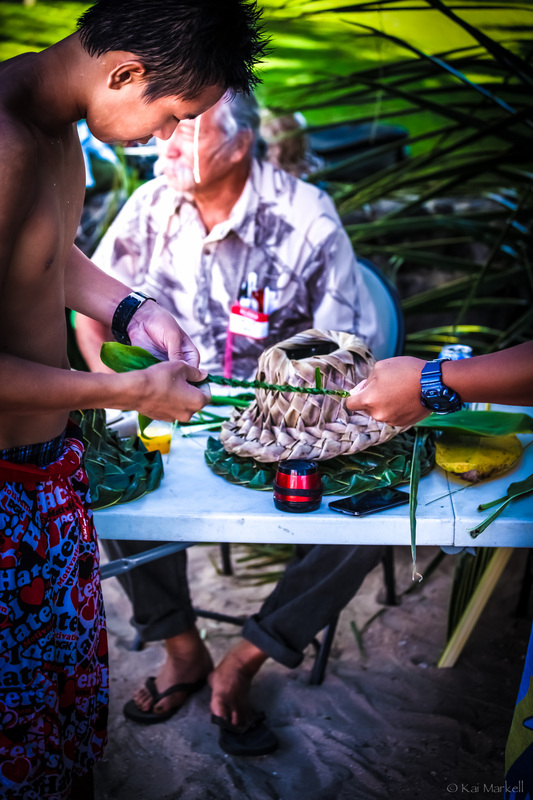 Volunteers teach local youth how to make traditional Poi from locally grown Taro root. 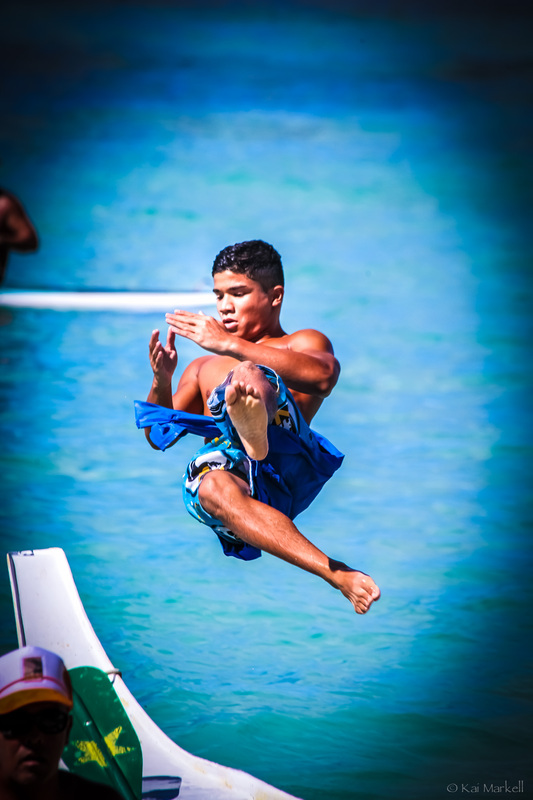 Surfing holds a unique significance within Hawaiian culture, which Aha Kai Aloha Festival gracefully demonstrated by connecting at-risk youth with their heritage, its traditions, and community recourses, all through the shared love of surfing and Aloha. Special Thanks to Alison E. Berman for this recap of an amazing event and to the Elkes Foundation for helping to make it possible. 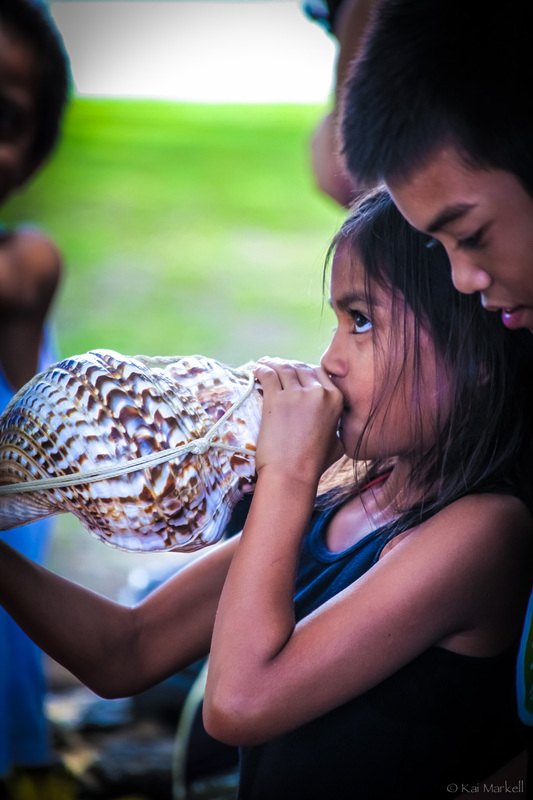 Alison is a storyteller, marketer, and the founder of digital storytelling platform Anchor & Leap. 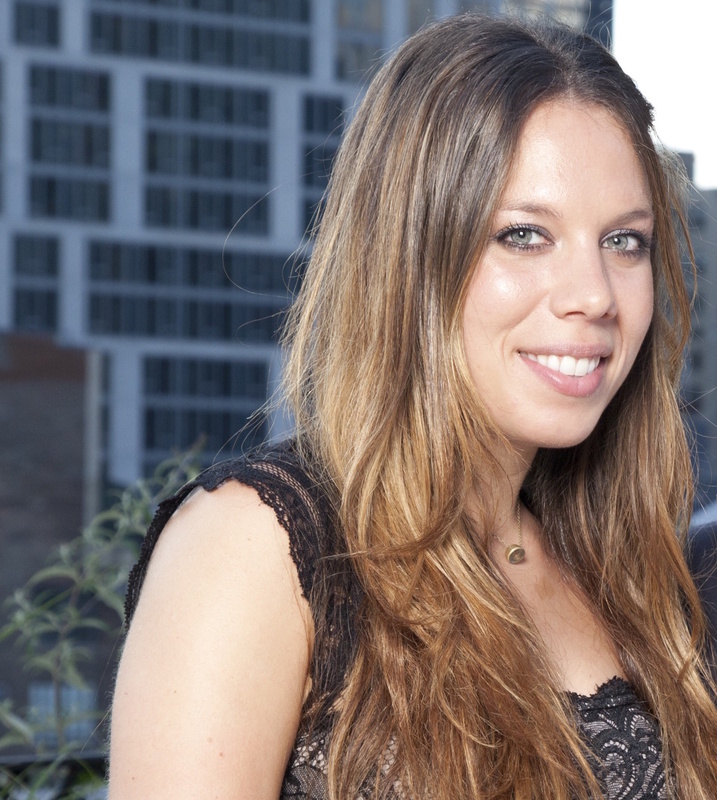 She has a complex understanding of multi-channel storytelling and gained her roots working at prominent media companies Meredith Corporation as a Marketing Manager and previously at Rodale, Inc.’s in-house content marketing agency. While at Rodale, Alison also facilitated a company-wide social media think tank that was formed by CEO Maria Rodale. As a consultant, Alison helps companies define and share their own stories through rich content marketing and strategy—all with a focus on aligning messaging with the core values of the organization. 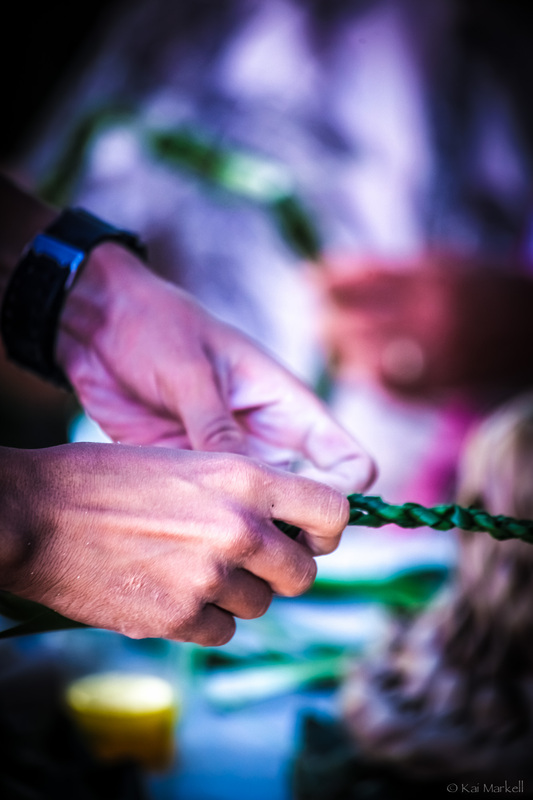 Some past clients include Nissan, Applegate, Norton by Symantec, Kraft Foods, and Energizer Holdings.